With some of 2009’s ripeness and an element of 2010’s crisp acid structure, Chablis from 2011 would, said Séguier, be a good vintage to drink within the next 3-8 years (depending on the quality level) while collectors wait for the potentially long-lived 2010s to evolve in bottle. Speaking further of 2011, he recalled how an unusually hot and dry spring had brought bud burst, and hence the eventual harvest, three weeks earlier than is usual in the region. William Fèvre were, however, one of the first to start picking in Chablis, beginning the harvest on 31 August, compared to a more normal start date of 20 to 30 September. “The maturity in our wines is not too high, but that’s because we started harvesting early to keep the acidity,” he said. In terms of quantities made, 2011 he said was “normal” in terms of volumes, but around 5% of the crop was lost on certain prime vineyards, such as grands crus sites Bougros and Les Preuses due to a hailstorm on 28 June. Séguier stressed that this had not affected the quality of the eventual crop. 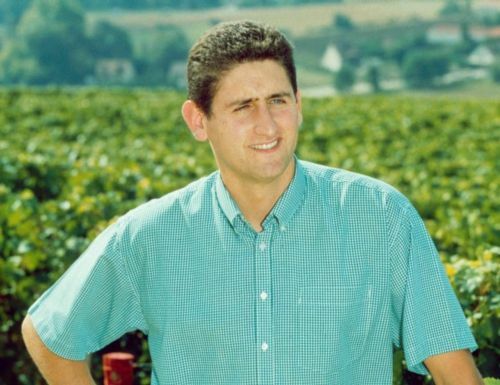 Speaking more generally about the age-worthiness of premier and grand cru Chablis, Séguier admitted that the problem of premature oxidation has been an issue in Chablis along with the white wine vineyards in the Côte d’Or (and elsewhere). In an attempt to guarantee against this problem in William Fèvre wines, he said that all the producer’s wines were now closed with Diam agglomerated corks. The winery first started experimenting with the closure ten years ago and then began bottling its Petit Chablis and Chablis with Diam 5 in 2005. William Fèvre then sealed all its premier cru Chablis with Diam 5 from 2007 and finally, all its grands crus wines from 2010, although these are closed with Diam 10. The technological closure has ensured consistency between bottles from the same harvest according to Séguier. “If I open six bottles, I get the same wine six times,” he said, referring to bottles tasted from experiments going back to 2003 and 2004.